Most school papers deal with actual and contemporary problems, with issues which need to be reflected upon and then solved by the society. Another possible object of research for essay writers is a literary work or a work of art. This second type of topic could also be divided into two different versions: the first one is mere description and a short analysis of the work in question; the second version is when one takes the given work of art as a starting point and then begins reflecting upon the issues touched upon by it. This is the essence of writing a critical response; thus your task for writing a critical response will include interpretation of a literary work (a short story, a poem, an essay, etc.) or a work of art in general (a painting, a movie, a play) and its evaluation from your point of view. The phrase “critical response” may be confusing. You should not think that you must criticize the particular work of art in your critical response. To be critical means that you need to reflect upon the topic and not merely to describe it. What is important is to be able to construct your own representation of the particular work, or one main idea contained in it, thus being able also to offer your solution to the problem concerned. The following tips on how to write a critical response will help you overcome your uncertainty. The preliminary part of your academic assignment is to read the particular literary work (or watch the movie, etc.). Make yourself sure you take notes about everything which impresses you or seems important. Also, write down quotations because thus it will be easier for you to use them in your essay (instead of searching for them again while writing the essay). Try to catch the message of the particular work. It may be related to issues such as love, friendship, war, education, and so forth. A great literary work would contain several main messages thus you can take one or two of them. You cannot address more than two main ideas in your critical response essay since you will be unable to express your thoughts clearly. Present the particular work (novel, play, movie) by putting stress on its plot or characters (or what is depicted in it). Say a little about its creator and its historical background (when it was made, how it was received, etc.). This could be a message formulated by the author, or a question addressed at the reader, or a thesis regarding a given topic. At any rate you should work with ideas. This will allow you more freedom than, let’s say, a mere analysis of the given work. In order to demonstrate that you have grasped the ideas of the author, you need to bring citations or other references to prove your understanding. You cannot simply say what comes to your mind but you should rather assert only things which could be proved. This paragraph is logically connected with the latter paragraph. Try to connect them smoothly in your critical response; for example, from expressing the author’s idea you can go on by showing that he/she is/isn’t right in asserting that… (here you put the author’s thesis). As this part is very important you must not underestimate it. It should make at least 20-25 percent of the total length of the essay. 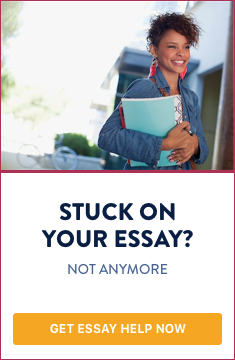 Your critical response essay turns around your personal reception of the particular literary work, thus you cannot pass this important feature. Having finished your essay, do not forget to add a list of titles used during writing as well as revise wisely the grammar and style of the essay. Your critical response essay turns around your personal opinion of particular literary work, thus it should make at least 20-25% of the total length of the essay.